Rock On Round Plates – Bring a little rock and roll to your party with these unique plates! 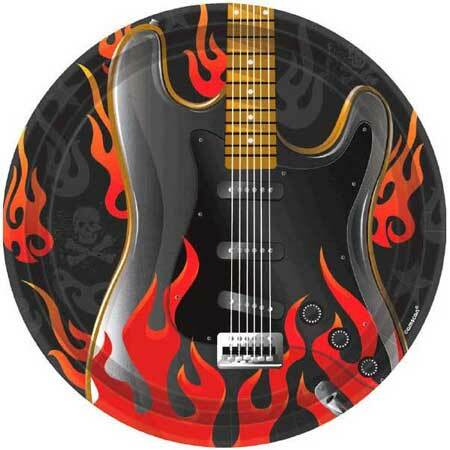 Featuring a rocker motif, these 7 inch plates would be the perfect added decor to any music themed event. A cool and fun way to make your party memorable. Made of paper. Size: 7″.